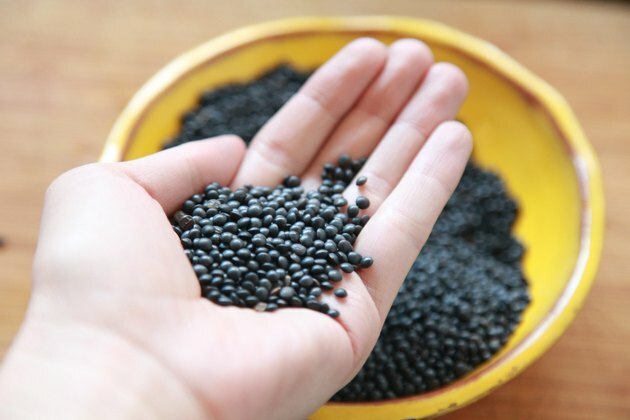 Tiny, black and round, beluga lentils are named for the caviar they resemble. 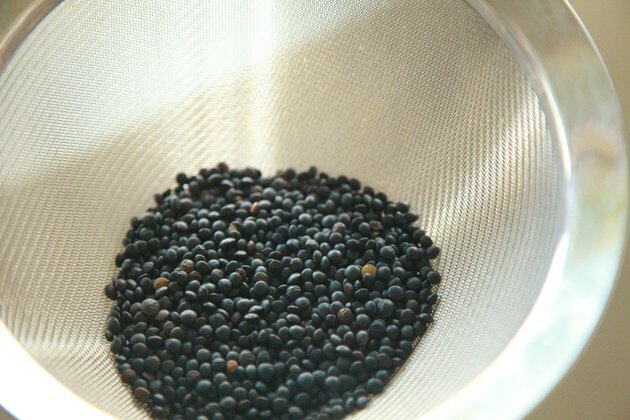 In addition to their striking appearance, beluga lentils hold their shape well during cooking, unlike other lentils that tend to become mushy. This characteristic makes them more suitable for salads and pilafs than the types of lentils that tend to break down during cooking. Like any type of lentil, beluga lentils are rich in protein and simple to prepare. Sift through the lentils to remove pebbles or other debris. Discard any lentils that are shriveled or discolored. Lentils and other legumes are usually cleaned by machine before you buy them, but you may still find things that need to be removed. It is a good idea to soak your lentils before cooking as well, to remove phytates. Put the lentils in a sieve and rinse them thoroughly in cold water. The water will run clear when the lentils are clean. 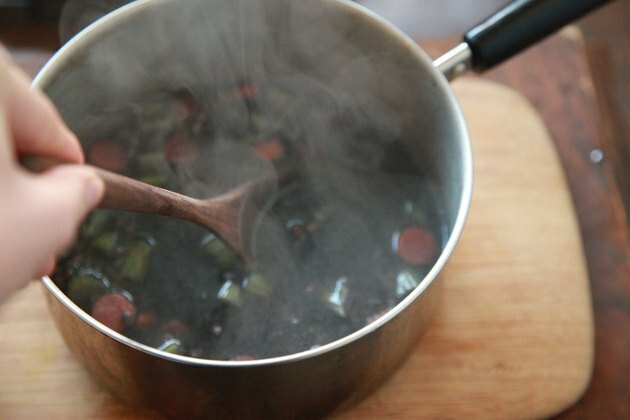 Dump the lentils in a pot and add 2 cups of liquid -- such as water or stock -- for every 1 cup of dry lentils. Adding too much liquid will leach nutrients from the lentils, so it is best to use just enough for them to absorb and cook in. 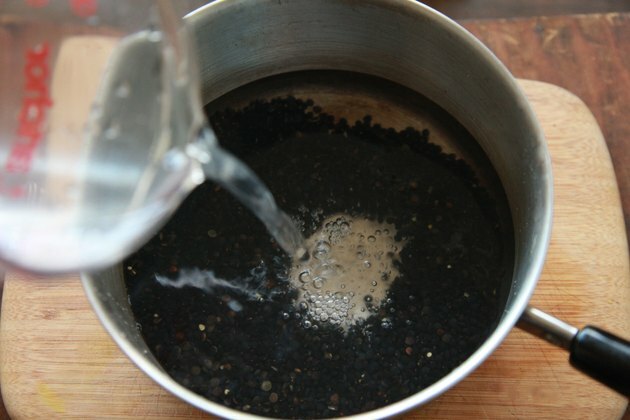 You can add more liquid as they are cooking if they start to look dry. Stir in a pinch of salt for every 1 cup of lentils. The salt will slow the cooking, but it will enhance flavor and help make the lentils easy to digest. Add other herbs, spices or aromatic vegetables, such as celery or onion, if you wish. 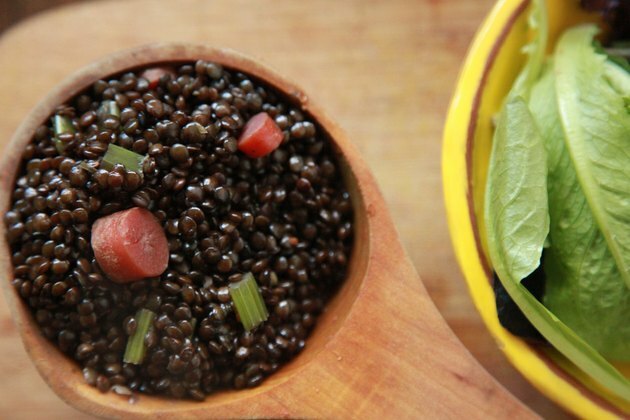 Beluga lentils have an earthy taste that is compatible with a variety of other flavors. Cover the lentils and bring them to a simmer. Continue to cook them over low heat, stirring occasionally and adding liquid if necessary, until the lentils are tender but not mushy. Beluga lentils will be tender after about 25 minutes of cooking. Remove the lentils from the heat and serve them immediately, or spread them on a baking sheet to cool. 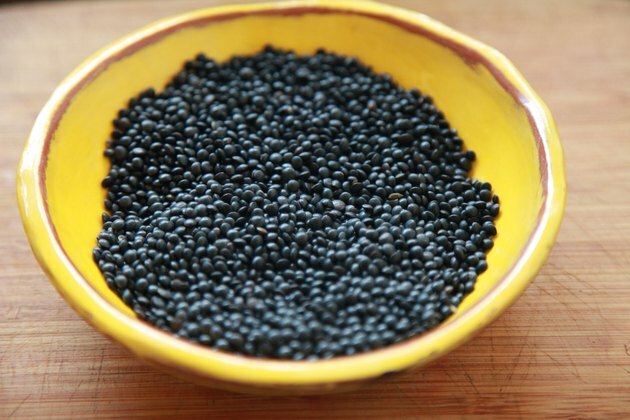 The size and texture of beluga lentils are comparable to another type of lentils called "du Puy" lentils. Their similarities make them good substitutes for each other. Don't allow the lentils to boil rapidly. 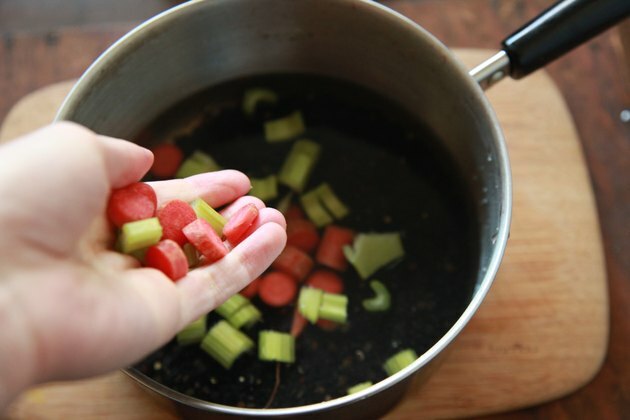 Keep them at a gentle simmer to prevent them from splitting.